OK. 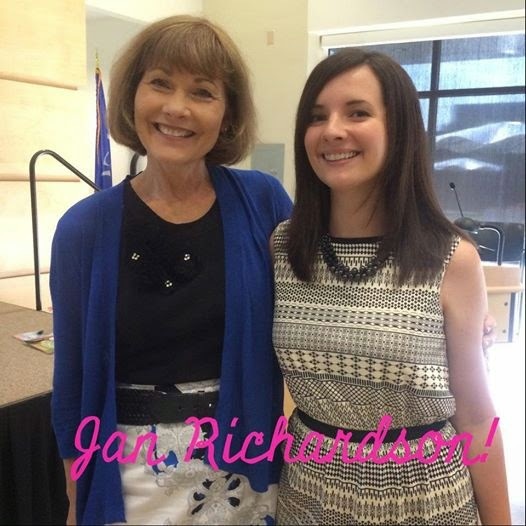 If you follow K Teacher Talk on Facebook, you know that I have been wayyy too geeked out about seeing Jan Richardson today. I have been using Jan’s format in my classroom for the last 3 or 4 years now and I love it! Before Reading her book The Next Step in Guided Reading, my guided reading instruction felt scattered. It has since clicked for me and I will never go back! I love the Jan Plan! You can read my original posts about it here and here. We hear it time and time again, because it’s the truth–assessment is SO important. Jan called herself a “running record junkie!” Taking consistent running records on students as they read is vital in order to meet their needs. 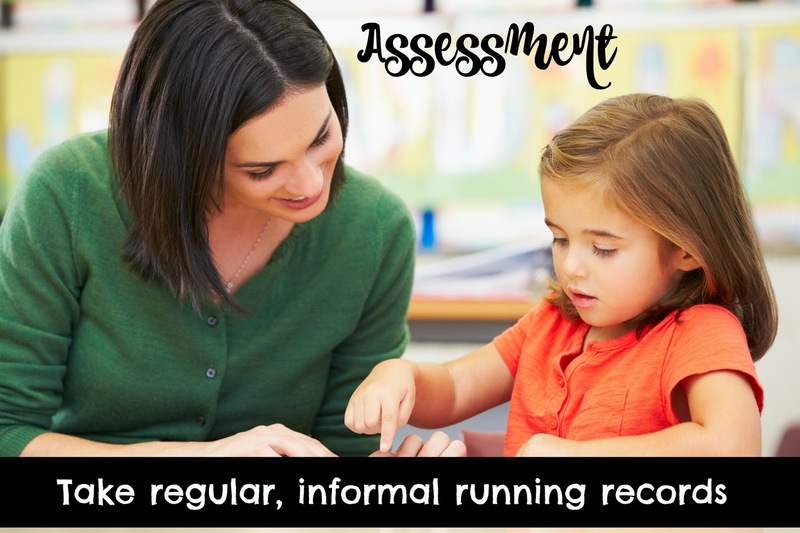 As Jan said– “it isn’t enough just to say ‘oh, he needs to work on fluency.’ WHY isn’t he fluent?” I’ll admit, I only began taking regular running records on my students 3ish years ago. My consistency with doing one at each lesson is getting better every year, but I’m still not quite there yet. I used to think that taking running records was something you only did a few times a year with the formal benchmark kit (DRA, Fountas & Pinnell, Rigby, etc…) Now I take informal running records on my students often, just on 1-2 pages of the book…my goal is to do one on a student each week. It has made a HUGE difference in how I group my students and how I have planned for their instruction. While I’m definitely not a “running record junkie” yet, I hope to get there! 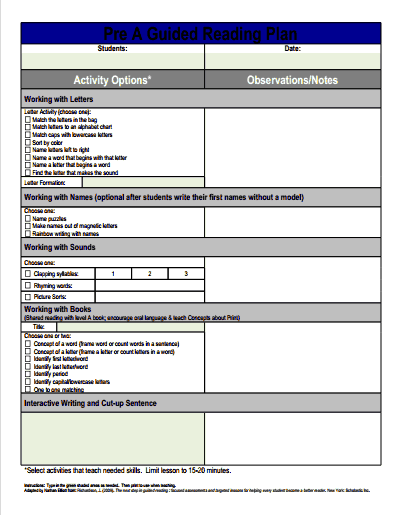 On her website, Jan provides a WEALTH of information that helps you track student data. Click the resources tab and scroll on down to find everything you could need! I find this to be the hardest part of guided reading! What Jan reiterated again and again, is that we don’t want to get too caught up on the student’s level. Meaning, we need to think of the student’s level as a range–how often do you have a students who reads only on a level D all the time? Even within levels, there is a range. In addition, it is impossible to have and manage groups where everyone in the group is at the same level. Grouping students who are close to the same level and who are in need of the same STRATEGY work will give you the most bang for your buck. We also spent some time analyzing texts and deciding what teaching points the text would be good for. 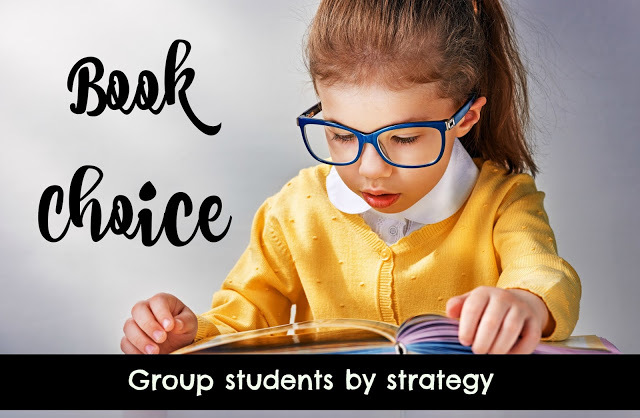 If a text has lots words for students to decode, we wouldn’t choose that book for a group that is firm with decoding but needs fluency work–even if the reading level matches where they are. I won’t lie–I can get hung up on the level when it comes to my students’ reading. Hearing Jan talk about this (which reiterates what Debbie Miller said when I heard her speak), is that students are so much more than a level. Another interesting tidbit–Jan also said that she normally goes a level below when reading nonfiction, since it is harder! Jan went through various scenarios and gave examples of prompts that she would give throughout the lesson. 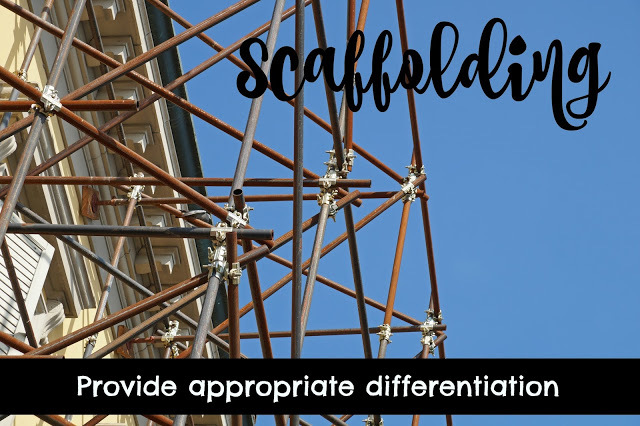 ESOL or low vocabulary students received a high level of scaffolding and vocabulary in the introduction. She gradually released support for students who were more language proficient. It seems like common sense, but she does it so masterfully and it was great to watch! She has a WONDERFUL list of prompts and scaffolds in her book for different circumstances. A note on vocabulary–don’t ask “what do you think this word means?” when introducing new vocabulary at the start of a book. Just tell them! Because if they get it wrong and you tell them the correct answer, research says they will remember the first answer–the wrong one. Good to know! During reading, she often asked a student “what can you do to help yourself?” when they came to a word and they didn’t know the meaning. She doesn’t use the term “context clues” because students don’t get it–just look for clues. You can download Jan’s lesson plan format on her website for each stage of guided reading, but you really need to read her book in order to understand the research and the background behind each part. The lesson for pre-A is really not guided reading, but small group work–even Jan has found that trying to do traditional guided reading with a pre-A group is a waste of time…so her format which has students building visual memory with their names and known letters, working with books, building phonemic awareness and sharing the pen packs in a lot of powerful teaching into a 20 minute group. And her format is awesome–it’s all filled out and you just fill in the blanks and check where needed! That way, you can focus on thinking about the text rather than typing out your lesson plan. Jan has a “six weeks to independence” section of her book which details some popular stations and how to set them up, so that students are engaged in literacy while you’re doing your guided reading. 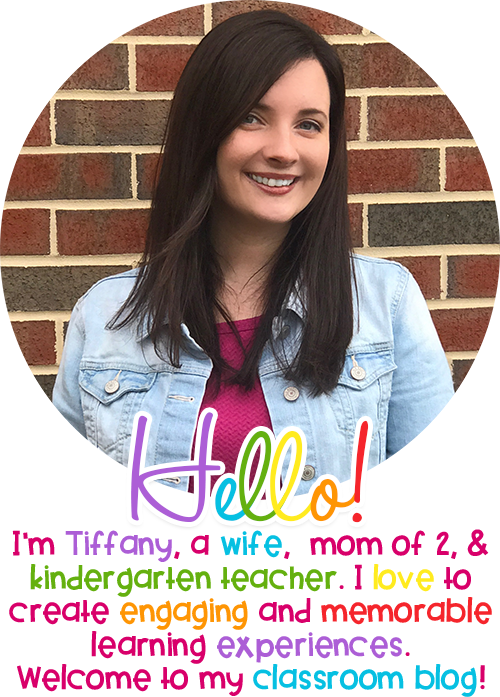 She really advocates making your life easier and having students do authentic reading and writing– no worksheets! She even plugged The Daily Five because of how explicit it is and it fosters independence! Jan reiterated what all teachers already know–timing students for words-per-minute is not the best idea, and it can be harmful in the early grades. Why? Because comprehension often takes rereading–rereading for self-corrections and to make meaning of the text. We WANT our students to go back and reread when they need to, and reducing students’ fluency to how many words they read in one minute discourages that. YES–fluency is important for comprehension! But we need to think of fluency in terms of intonation, smoothness, etc… and not simply how fast a student reads the words, which is unfortunately the emphasis of many reading tests. She reiterated the work of Richard Allington time and time again regarding this. Jan provides various word study options to get the students working with words in different ways. Under the resources section on Jan’s website, scroll all the way down to “word study procedures” to see what I mean. So those were my biggest take-aways from the day. Jan is coming to do professional development in my district in November, so hopefully I have some new insights to share then! I know that was a lot of information…what are your thoughts? Anything you’d like me to clarify or are unsure about? Under classroom management, Jan discussed how she used to spend so much time making dozens of file folders. She realized they were just "busy work" and were not worth keeping up with. I have to admit, I have used my share of file folder games during literacy stations. I agree with her assessment and am glad to get rid of them! My question is if you have 20 students and 3/4 students in each guided reading group, how is it possible to see 6 groups a day? I think that kindergarten students all need to be seen each day because your highest group could be on grade level and need the maintaining and support each day to exceed or grow. So, how can this be managed. And if you aren't seeing every group each day then what book do you send home with them the day they didn't have a group? Lauren, I have struggled with this as well! I don't have time in my day to do more than four 20-minute groups. I know that 3-4 is ideal, but this is real life–so I often have 5 in a group. I don't know how Jan would feel about that, but you gotta do what you gotta do! I just try to keep my lower groups as small as possible. Jan also has a ten-minute lesson plan if you had to fit in more than four groups. I had 20 kinders last year with my top two groups having 6 each. Then the next two groups had 4 each. It was not my ideal, but with their levels and wanting to see each group daily I made it work. Teaching the procedures keeps the kinders on their toes and sticking to Jan's format helps you stick to the pacing. Thanks for blogging about this, Tiffany. I just checked out her website, and I really like the lesson plan formats. I had not read about her before, but I do my guided reading in a similar way, although when my group ends, I often remember things that I should have done! I think they will help me remember all of the different components for all of the different groups! 1. What did my students learn today? 2. What do they need to learn next?